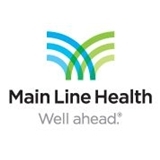 MLHC Adult Medicine in Bryn Mawr (Bryn Mawr) - Book Appointment Online! Excellent, as usual. She is a top notch diagnotician and very caring! New office, positive and helpful employees from the reception through the nurse to Dr Olah. Good communication in advance of my appointment and smooth process at the office. Would definitely recommend. In addition, while I did not have to wait, I did have time to test the public wifi and it is blazing fast! (125mbps). Great bedside manners -- pleasant, attentive, and thorough in her exam. She also provided detailed explanations of her findings and took time to answer all questions.